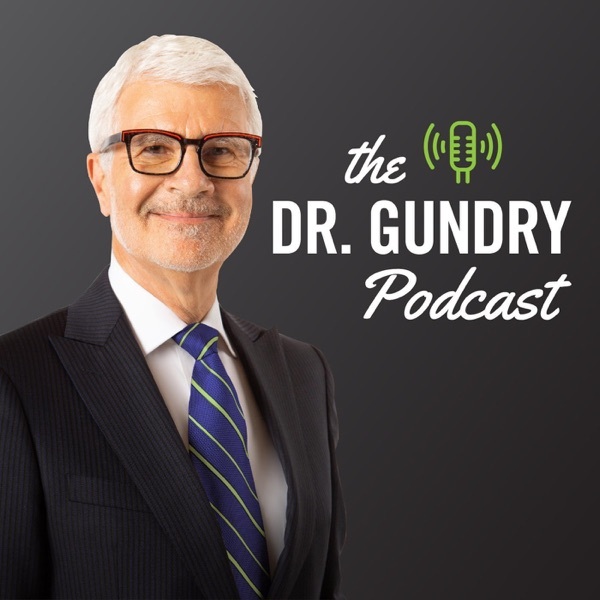 The mission of the Dr. Gundry Podcast is to help listeners live their best, healthiest life. We’ll give you all the tricks and information you need to hack your vitality, avoid dangerous “health foods,” and balance your all-important gut. After all, a balanced gut is essential to good health — and Dr. Gundry’s goal is to help you live well, and eventually die young at a ripe old age. Eliza Kingsford, weight loss expert and author, chats with me about understanding diet, staying healthy, and keeping the weight off for good. We also discuss Kingsford's new book, Brain-Powered Weight Loss, about the psychological connection between what we eat and how we feel. When Allison Post was a teen, she began suffering from unexplainable and debilitating pains and infections. But every time she went to a doctor, she always heard the same thing: Nothing’s wrong with you. They told her to take an antibiotic and some painkillers and wait for her symptoms to get better. Except they didn’t. What happened next changed Allison’s life forever. In my latest book, The Longevity Paradox, I pull back the curtain on the secrets of the world’s “super-agers.” In it, I also explain how YOU can live a longer, more active life. You’ll learn about l the “7 Deadly Myths of Aging” and the Nobel Prize-winning secret proven to extend the human lifespan. The best part is, it’s not rocket science — in fact, most of my recommendations are things you can start doing at home TODAY to de-age your skin, reduce joint pain, and get up and active again. Migraines can be absolutely debilitating. That’s why on this episode of the podcast, I’m going to discuss the roots of your throbbing head pain, sensitivity to light, and blurry vision. I’m also going to share my thoughts and advice on what you can TODAY to stop migraines in their tracks and take back your life. Will Ahmed, founder & CEO of wearable tech company WHOOP, tells me how his product is helping elite athletes and Fortune 500 executives “bounce back” from everyday stressors — and how it can help YOU, too. Additionally, Will shares a simple “hack” to avoid feeling rundown, takes on WHOOP’s critics, and discusses the “big picture” implications of using data to optimize human performance. Bone broth is all the rage these days, but does can it really mean the difference in your health? In this episode, I evaluate the major health claims associated with this alleged "superfood." So, whether you’ve recently considered jumping on the bone broth bandwagon, or even if it’s already a staple in your diet, you NEED to listen to this episode. Dr. Daniel Amen (America's "most famous psychiatrist") tells me why he hates the term “mental illness”, why getting less sleep hinders your ability to make good decisions (gulp! ), how you can actively change your mood by killing ANTs (automatic negative thoughts), and why he believes that psychiatric problems are actually brain problems. Shawn Stevenson and I discuss his battle with degenerative disc disease, the debilitating effects of the “nocebo” effect, and how improving your sleep can help you lose stubborn weight. He also shares some life-changing insights from his most recent book, “Sleep Smarter”. Arianna Huffington, Founder of the Huffington Post, Thrive Global and named one of Forbes Most Powerful Women shares with me her personal story about the traumatic fall that changed her life's mission. She now strives to end the stress and burnout epidemic faced by working women and men every day. Thinking about cheating on your diet? I get it. Finding dietary "alternatives" can be difficult for those of us following the Plant Paradox, or any diet for that matter. That's why I'm back with another Q&A episode of the podcast. When it comes to nutrition, we all have our bad habits — especially when foods are marketed as “healthy.” For a lot of my patients, fruit is one of those bad habits. And as my dedicated readers and listeners already know, our bodies weren’t designed to eat fruit year round. Well on this episode of the podcast, I’m going to answer your questions about fruit and share the foods you SHOULD start eating today. When Tamar Geller, dog trainer and bestselling author, first moved to the United States, she had no experience working with animals. On this episode of the podcast, Geller describes her transformation from a ‘dog liker’ into the official dog expert for the Today Show. Geller has published multiple books and worked with A-list celebrities, including Oprah Winfrey, to help them form lifetime bonds with their beloved pets. She and I discuss her unique methods for building loving relationships with your furry friends and she'll even share her experience following the Plant Paradox diet! Dr. David Perlmutter, four-time New York Times bestselling author, sits down with me to talk about how he struggled to spread his anti-grain, anti-sugar message in a world that still abides by the old saying: “Everything in moderation.” We'll also chat about how he's learned to deal with his critics and how YOU can use his method to improve your health.So if you’re one of the people who prefers to learn the inconvenient truths - and act on them before it’s too late - this episode of the podcast is for you! Dr. Laura Nasi, an integrative oncologist and author of the recent book Cancer as a Wake-Up Call, chats with me about how you can blend conventional medicine with a more holistic and natural approach to health. We’ll also discuss her work in cancer treatment, her experiences as a mind-body medicine practitioner, and the big takeaways from her latest book. Sticking to a lectin-free diet is tough, particularly when so many of the foods we’re accustomed to eating contain this harmful protein. So naturally, a lot of people want to know: is there any way to prepare or cook foods in a way that get rid of these pesky lectins. In this episode of the podcast, I share the loopholes that will allow you to have your yams, and eat them too. On this episode, I explore the connection between modern diet, hormones, and the changing nature of menopause - it's something every woman on earth will go through. And believe me, the truth about Menopause will SHOCK you. Kate Holtzhauer, my "head chef" and recipe developer, sits down with me on today's episode to discuss the quick and easy tips YOU can use to keep you and your loved ones healthy through the holidays and right into the new year. So if you've been looking for a way to adapt your holiday recipes to be "plant paradox" compliant, this episode is a must-listen. Sita Hagenburg and John Kelly from the Bendable Body Method chat with me about the new program that has "re-invented stretching" by helping people achieve a lasting flexible physique through targeting the mind, body and soul.